How would you add some extra features to your mobile? The answer lies in “installation of mobile apps.” There are thousands of mobile apps for Android, iPhones and several other smart devices. Customization of apps is also available. 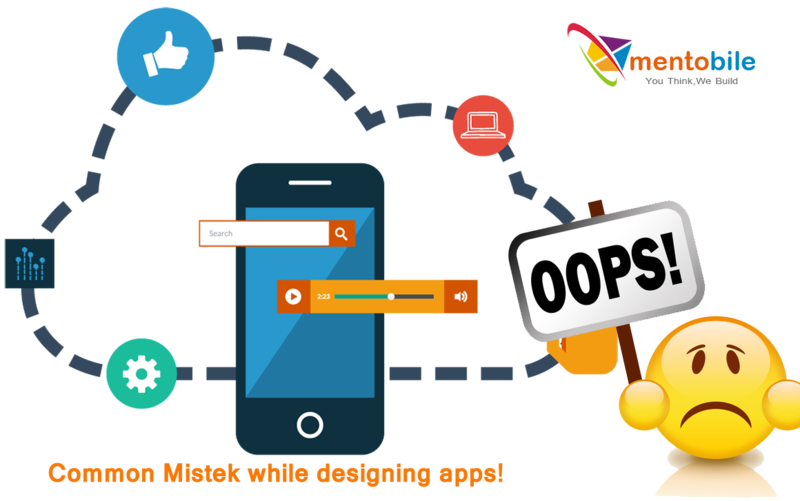 If you are on the way to customize your mobile app, below are some common mistakes to watch out. It is suggested that your app should be designed for high-res, retina, pixel-dense screen first. After this, you can scale all the way down to the desired resolution. Using vector graphics instead of bitmaps is much better. Prepare the mobile software that takes no time to load otherwise it will leave a foul impression to the users. For fast navigation, it is must to keep the screen clean and organized. The screen should not be over-stuff. It seems unorganized and cluttered. It is annoying for users to face animation at the time of intro even it is for a few seconds. Focus on making the app customer’s centric that suits to their interest and needs. Try to keep it refined and fast. The last but not the least thing to monitor is using flow map. No matter how simple a mobile app you are going to develop, it is must to consider flow map. It guides you to design a smart app. Contact a reliable mobile apps development company to learn more on the topic.